During the course,participants will acquire skills in the effective use of functional genomics databases: ArrayExpress (one of the ELIXIR core data resources) and Expression Atlas. Such skills will include searching, retrieving and interpreting data relevant to their research areas of interests. There will be interactive presentations, demonstrations and practical exercises to give trainees hands on experiences.To complement the sessions on functional genomics, there will be brief presentations on some related EMBL-EBI resources: EBI metagenomics and Reactome. Since many EMBL-EBI resources are built to facilitate reproducible research, there will also be a session discussing the obstacles and barriers to data reproducibility in the research environment, illustrated by real-life examples. Participants will learn about some handy data management techniques that help to alleviate reproducibility problems, many of which have already been implemented for over a decade at EMBL-EBI. Please note this course does not cover microarray, sequencing, metagenomic or network data analysis. Cymon Cox is a senior researcher at CCMAR in Faro. 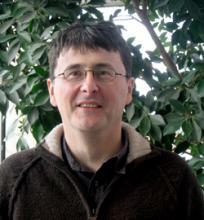 He is the leader of the Plant Systematics and Bioinformatics group. Amy Tang studied Human Genetics at the University of Nottingham for her bachelor degree. 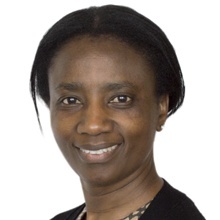 She did her PhD at the Brockdorff's lab, then at MRC Clinical Sciences Centre / Imperial College London, working on the epigenetic control of X-chromosome inactivation in mouse early development. The project was split 50:50 into wet-lab and bioinformatics, this is when she first got interested in bioinformatics. After a short postdoc in the same lab, she returned to study at Imperial for a MSc in Bioinformatics and Systems Biology, which helped her move laterally from wet-lab to bioinformatics. Amy now leads the curation efforts for ArrayExpress and Expression Atlas databases in the Gene Expression Team, promoting reproducible research by maintaining curation quality, and also by driving the development of the user-friendly ArrayExpress data submission tool Annotare. To allow users make the most out of the databases and to educate researchers on best practices for reproducible research, she also manages all training activities for the Team, delivering most of the hands-on courses on functional genomics resources at EMBL-EBI and worldwide. Through listening to Annotare submitters' needs and gathering feedback at training courses, she also acts as users' advocate and works with software developers to improve user experience of ArrayExpress and Expression Atlas websites. Before joining EMBL-EBI, Amy was a senior bioinformatician in the Ensembl GeneBuild team, curating gene models for key model organisms such as mouse and rat. Adelino V. M. Canário is a full professor at University of Algarve (Portugal) is a specialist in fish physiology. He is the Director of the Centre of Marine Sciences (ccmar.ualg.pt) since 1994 and leads the Comparative and Molecular Endocrinology research group. He teaches Cell Biology to undergraduate students and Reproductive Biology to graduate students. He coordinates courses for graduate students on Molecular and Cellular Biology Techniques and marine Genomics. He is the promoter of 2 ongoing PhDs and has supervised to completion 12 PhDs (8 in the last 5 years). He is internationaly recognized expert in his field with over 140 published articles (H=26) in regulation of calcium homeostasis, fish reproductive physiology, hormone-behavour relationships, chemical communication and genomics. He has coordinated and participated in European Commission funded research including recently Marine Genomics Europe, Assemble and EMBRC (ESFRI infrastructure). Steven Jupe is a Knowledge Database Curator/Developer for the Hermjakob team at the EML-EBI. This course is aimed at wet-lab researchers who have minimum or no prior experience in bioinformatics, who want to explore, and use EMBL-EBI resources for their research. No knowledge of programming is required, but the trainer expects an undergraduate level knowledge of biology and/or biochemistry. EMBL-EBI data services: an overview of the free databases and data services covering a wide range of subject areas across biological sciences. Explore functional genomics data in ArrayExpress effectively, and submit your own data with ease. Participation has a 50€ registration fee. Registration for this course is done at the Centre for Marine Sciences (CCMAR) , until September the 28th! A maximum of 20 participants will be accepted. If you require assistance in finding accommodation, please contact Cymon J. Cox (e-mail bellow).